RIBA future trends stats mirror last year’s members drop. And this month she didn’t seem to have many judging from the response to the Architects Journals choice of cover girl. Before we get too bogged down in the detail though let’s consider that two major industry magazines have made diversity a front page feature in the last 6 months AJ on Women and Construction Manager on Pregnancy and Maternity. What’s more Construction skills have set up a series of webpage’s and resources and is looking into developing further products. Real steps forward are being made, and whilst it would be remiss not to acknowledge the steps back with the WDS closing and no Built Environment employers on Stonewalls top 100 employers; I strongly feel that the industry is keen to move forward in this area. There is quite a lot going on behind the scenes that I can’t share just now but watch this space the next few years are looking to be important ones. Thanks also to everyone who forwarded a question for the blog, this month we are answering a query regarding employee sexual orientation. On 12 January 2012, the Deputy Prime Minister announced that more than 100 businesses – employing over two million people in Britain with a turnover of more than £500 billion – have signed up to the Business Compact on social mobility. Five of those business’s Atkins, Carillion, MITIE, RIBA and RICS work within the built environment sector. I know a lot of you are already doing this work independently so why not find out how you can get involved with the business compact. 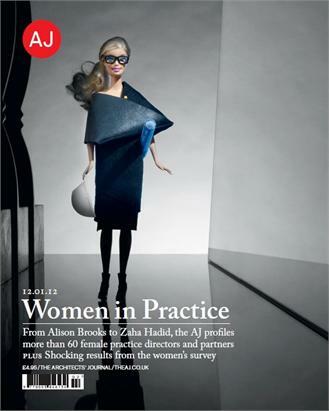 The Architects Journal should be applauded for its decision to dedicate its January edition to the very real barriers the majority of women in the profession are facing. Whether the best way to illustrate that is by putting a photo of architect Barbie on the front cover is a different matter and Architects took to twitter to put across their views. It should be noted that AJ both retweeted and allowed the critical comments which makes me wonder if the choice of cover had more to do with attracting attention than looking to represent women. The cover in question is below, what do the rest of you think? The AJ survey results (as mentioned above) looked roughly the same as past research into women in the industry; the usual figures turned up such as roughly 2/3rds encountered discrimination due to their gender and a 1/3 having difficulties resuming their career after children. Whilst we understand the need to create a good headline he AJ ran the article with the title “shock results”. Its important to note that whilst to those of us who work in equality the results are unlikely to be surprising; for many people in industry they will be, the challenge here is to help people understand why this is important for individual, organisations and industry as a whole. RIBA has announced that the economic climate over recent years has had a disproportionate impact on the numbers of women working in architecture. Since the RIBA started Future Trends Survey in January 2009, it has been monitoring employment levels for women architects. When the survey started women made up 28% of architectural staff in practices in the survey, whilst in December 2011 the figure was 21%. This mirrors last years report that RIBA’s female membership dropped from 26% down to 19%. Whilst we cannot be sure of the reasons behind his until more research is undertaken 2003’s Why women leave architecture research by UWE is still likely to be relevant. Please forward your comments or questions below the blog or via email. We were sad to receive this email from the women’s design service regarding their closure, The WDS push for greater incorporation of the needs of women in design such as the recent government petition for more public toilets regarding their decision to close. We are having some conversations with some of the trustees around a new organisation looking into not just the need to understand barriers to woman in design and master planning but also the need to consider all minority groups, for example there is some very interesting work around design and Alzheimer’s. We would of course welcome interested individuals who would like to be involved or contribute their ideas and would encourage you to email us with your thoughts. ConstructionSkills have launched new webpages covering Fairness, Inclusion and Respect (FIR). The pages are now live on offering a wealth of knowledge and information to help improve equality and diversity across the wider sector. The launch is part of ConstructionSkills drive to lead on equality and diversity on behalf of the construction industry, by helping employers to improve working practices and gain a better understanding of the positive impacts of diversity within the workforce. • information on the Equality Act 2010. The Government Equalities Office (GEO) is commissioning a new Equality Advisory and Support service. The service is intended to replace the helpline currently run by the Equalities and Human Rights Commission (EHRC). A date for the introduction of the service has not been given but you can see the specification here. Whilst the service is not targeted solely at employees we see promotion of it within the workplace as a tool for businesses looking to provide support for staff and show that they are serious about promoting respect in the workplace. A Review was carried out by GEO in August it concluded that Government should continue to fund information and advice to potential victims of discrimination and human rights breaches. This was because of Government’s commitment to ensuring access to justice and, in particular, to helping people to resolve their problems informally (i.e. before the point a claim is made and even before it is necessary to access formal alternative dispute resolution). The Review also concluded that the Government should not fund the EHRC to deliver this service. Therefore, Government has decided that it will commission a new service from a private sector or civil society organisation or a combination of both. For those of you who need to keep upto date with the law around equality the equality and human rights commission has published revised versions of Equality information and the equality duty, Equality objectives and the equality duty and Engagement and the equality duty . These editions reflect the final specific duty regulations and they replace the first edition of the guide published in January 2011. The guides are for public authorities in England and for non-devolved public authorities in Scotland and Wales. Further revised guides on the equality duty will be available shortly. If you are a public sector organisation or have been subcontracted by one you are required to adhere to the equality duties which put additional duties on organisations. The Equality and Human Rights Commission have now uploaded both Welsh and English language versions of the Public Sector Equality Duty guidance for Wales. The guides provide an overview of the equality duty, including the general equality duty, the specific duties and who they apply to. They cover what public authorities should do to meet the duty. This includes steps that are legally required, as well as recommended actions. In January Stonewall the UK support group for Lesbian, Gay and Bisexual community published its top 100 employers 2012 equality index of the best places to work as a member of the LGB community. I’m sorry to say that not one built environment organisation made the list, the reason this is important is that with an estimated 10% of the population belonging to the LGB community if we cannot show as an industry we are making forward strides we are in danger of missing out on key talent. So I ask you all to try and get your organisations represented next year, drop Chris Edwards at Stonewall an email as an ex CABE employee not only is he a pleasure to talk to he also understands the industry and is more than happy to help. 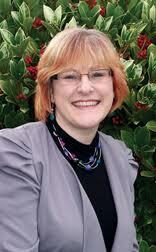 We would like to say a fond farewell to Niki Luscombe who has been the CEO of WAMT for the past three years. Whilst Niki has done a lot for WAMT we feel she should be particularly proud of starting the Diversity Expo which has run in London for the past two years bringing together those interested in improving their organisations and highlighting the barriers faced minority groups in the construction industry. Niki is moving into a new role as CEO for a charity supporting victims of domestic abuse and we are quite sure Niki has a brilliant career ahead of her but we would like to wish her a little bit of luck anyway, so good luck! This FREE WWIC networking event gives you the opportunity to meet everyone in the room. Make sure you bring lots of business cards! Speed Networking is the most exciting development in business networking in recent years. 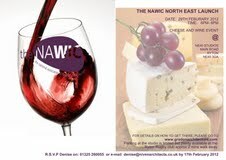 This joint networking event will be a light hearted format with a serious note of allowing you to meet, other like minded professionals face-to-face who could be potential clients, suppliers or partners during the course of one evening. It is a well known fact that making a commitment to networking can create untold opportunities and can have an expediential effect on the long-term profitability of your business. Whilst further research is needed into this area to establish roles and responsibilities of disabled graduates in industry it is positive to see the number of disabled graduates was only .1 of a percentage different to the percentage of non disabled graduates coming into industry. It should be noted that the percentiles were equal in 2002. This report from Agcas shows the first destinations of disabled graduates in 2009/2010. On 12 January 2012, the Department for Work and Pensions (DWP) published an in-house research report ‘Attitudes to Age in Britain 2010-11′. The report shows that age-related discrimination and stereotyping remain rooted in British society. 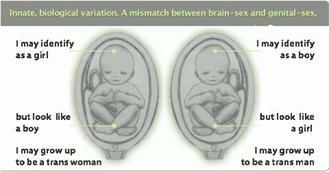 The findings are based on new analysis from the ONS Opinions Survey. The report looks at the factors that are associated with age discrimination and prejudice and compares attitudes between two key groups, people in their 20s and people aged 70 and over. Whilst not directly related to the built environment the research can help us understand how to tap into key talent. This role requires excellent management and leadership skills to assist WAMT through a period of change and financial challenges. The post is offered part-time for 6 months, with negotiable hours and working days. The salary is £36,000 pro rata. A full driving licence that permits you to drive in the UK. However, HSE/ONR is willing to consider any proposals put forward by disabled applicants that would allow them to do the job by any other means. The Construction Industry Council has developed some information pack for those considering a career in construction. If you feel this would be of help to you personally, in your role as an ambassador or to someone you know get in touch and find out how you can get hold of one. In 2011, the European Commission published ‘How to Present a Discrimination Claim. Handbook on seeking remedies under the EU Non-discrimination Directives’. Through this handbook from the European Network of Legal Experts, the European Commission directly addresses victims of discrimination and offers them a practical tool in their quest for justice from the standpoint of European anti-discrimination law. We have still not come across any specific resources for the Built Environment Trans community but GIRES Gender Identity Research and Education Society has some great resources especially the below diagram which make understanding the right trans terminology really easy. This recruitment firm specialises in finding employment for individuals who have worked in the armed forces, they specialise in four main sectors one of which is construction. They now have over 20,000 highly trained individuals registered, many with very specialist skills and experience. These candidates who have served in the UK Armed Forces bring with them fantastic character traits such as loyalty, discipline, leadership and world class training. CIC and partners are recruiting mentors and mentees for a pilot scheme called the Fluid Diversity Mentoring Programme. The programme will involve a pan-professional group of participants who, via their applications, demonstrate the commitment, ambition and enthusiasm to take part in the scheme. The government has issued a consultation paper on minor changes to the Building Regulations. Amongst the suggestions is that changing places toilets should be included in Building Regs and required in certain large new developments. At the moment, the design requirements are included in BS 8300, but provision is voluntary. Add your response to the consultation here. So this video has nothing to do with construction and is made from an America perspective but we thought it was well edited and gave a lovely overview of the gay rights movement in the USA. Thanks to Catalyst for sharing the link on twitter. Warning watching could result in tears.